It’s a long time, the final gestation of my novel Savage Girl. Nine months until its publication date in March 2014. But I’m already excited. The book has been written. Edited. Copyedited. We now have a cover. the dramatic events that transpire when an alluring, blazingly smart eighteen-year-old girl named Bronwyn, reputedly raised by wolves in the wilds of Nevada, is adopted in 1875 by the Delegates, an outlandishly wealthy Manhattan couple, and taken back East to be civilized and introduced into high society. hits the highly mannered world of Edith Wharton-era Manhattan like a bomb. As she takes steps toward her grand debut, a series of suitors find her irresistable. But the willful girl’s illicit lovers begin to turn up murdered. 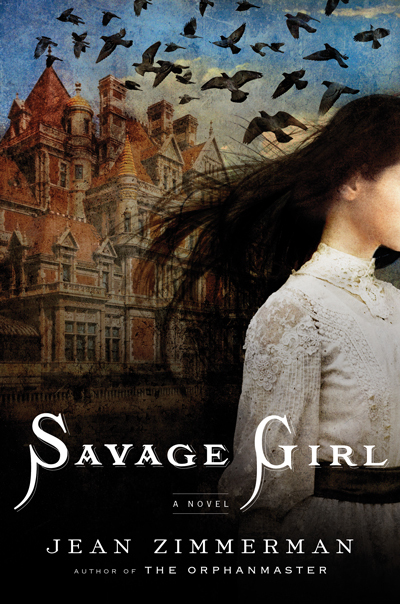 Savage Girl would not be the same story, would not be so much fun, were it not for its narrator, Hugo Delegate, a Harvard medical student and the scion of the family that takes Bronwyn in. The tormented, self-dramatizing Hugo Delegate speaks from a prison cell where he is prepared to take the fall for his beloved Savage Girl. This narrative – a love story and a mystery with a powerful sense of fable – is his confession. So says the catalog description. When the book pops out of the oven next winter you’ll have a chance to judge for yourself. Thanks Gwen, I’ll be sure to! We’re driving to the Midwest again this summer but unfortunately no time to stop by. Take care. please please come back to Hudson when on your book tour for this new great read. would love to also see Gil & Maud again too. can’t wait to read it.